There is no free shipping to Hawaii; anyone who’s from Hawaii will understand this agony. It’s so painful when a website will give you free shipping yet fails to tell you that Hawaii and Alaska are not included in the free shipping. This is typically a standard for almost every online boutique or store. I think Amazon might be the only company that can provide free 2-day shipping for its Hawaii Prime customers. However, that might only be for Prime customers. Paying for expensive shipping is one of the harsh realities of living in Hawaii. In fact, the state pays to ship almost everything to Hawaii; this includes food, clothes, merchandise, raw building and construction materials, including a ton of other items. There is little to no manufacturing industry on the islands, henceforth almost everything shipped here is finished products ready for sale. If you’re ever curious why things are more expensive in the islands, that might be a good reason for it. Hawaii businesses and franchises pay a big shipping cost. This shipping cost could be the reason why some grocery stores, like Foodland stores, have developed “Foodland Farms,” essentially their own farms, instead of shipping in food from external providers. This also boosts the sales of locally-grown produce, which in turn is beneficial for the local economy. In addition to the high cost of shipping merchandise and food to Hawaii, if you’re thinking of shipping yourself to Hawaii, or shipping yourself out of Hawaii, that is going to be an expensive one, too. Plane tickets for 2018 to and from Hawaii range around $600 round-trip, and can get even more expensive during peak seasons. For example, a ticket home for Thanksgiving can be almost $800 round-trip, that’s not even including the costs for your hotel, food and activities. Hotels in Hawaii can range anywhere from $300-$1200 a night. It can be difficult to find a cheap place to stay, especially during a peak season like summer time. 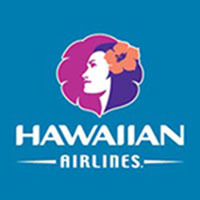 Traveling to Hawaii can get expensive during the summer months! Hawaiian Airlines A330-200 by Haklion is licensed under CC BY 3.0. Image may have been resized or cropped from original. Kanye’s face definitely depicts exactly what it feels like to be let down by the exclusive free shipping policy. It can be so upsetting to fill up your online shopping cart and then just get crushed by the news that it doesn’t apply to any of the beautiful things you want to buy. This could be a reason for why islanders prefer to shop locally for clothes, bikinis and such because they don’t want to pay for expensive shipping fees. Shipping fees can also be a discouragement because $15 for shipping can be seen as an utter waste of money. The customer isn’t getting anything for $15, whereas one could spend $15 on an item made locally and wouldn’t have to think about their money going to waste. In other words, they would actually be receiving a product for their item. The lack of free shipping is just one of the several downfalls of living in Hawaii, however this downfall has several solutions, one of them being to just shop locally. However, it shouldn’t be one of your serious considerations for not moving to Hawaii unless if online shopping is literally your profession.